Pricing your home correctly to sell includes many factors. Establishing the correct price is not an exact science and the major factors other than Price are: Location, Condition, Timing, and Supply and Demand. As I have said before, people often think “price per square foot” is what establishes price. And, price per square foot is a factor although a price needs to be established after a careful look at all the other factors. Location: Is your dream home on a greenbelt, close to downtown, near great schools, shopping, golf courses, lakes and/or other great amenities? Condition: Almost always, the homes that have been updated and given face lifts sell faster and for higher prices. Timing: Property values are affected by the current real estate market so it is important to know the present conditions before listing your home. It is important to have all your facts regarding the present market before pricing, so call in a professional when you are ready to sell. In the mean time, don’t wait until it is time to move to give your home updates and/or a face lift. 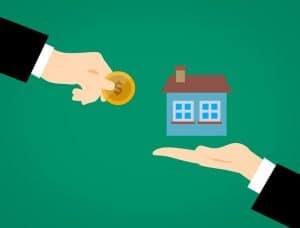 History has proven that real estate is one of the best investments, so why not make the most of yours? And, while pricing your home correctly is extremely important to me, I want to earn your trust as your family REALTOR throughout the entire real estate process. I would love to chat with you about pricing or any other questions you may have. Please give me a call today at (512) 771-7082 or simply click here. I look forward to speaking with you! Next Post: Declutter Your Home…And Have Fun Doing It!